Whenever images of Birmingham’s tumultuous past are flashed before viewers, the black and white footage and photographs of attacking police dogs, of fire hoses blasting teenage demonstrators, and peaceful protesters being hauled off to jail are shown. You’ve seen those indelible images repeatedly. They continue to stigmatize our community in the eyes of the nation and the world. In 1963, Birmingham was considered the heart of the segregated South. In fact, the Reverend MLK Jr. called Birmingham the most segregated city in the South. The children’s crusade, which happened fifty years ago in early May in downtown Birmingham helped galvanize the civil rights struggle. Children willingly left schools in droves to take their positions as foot soldiers on the front lines of the movement. They chanted and marched, were spat on and hit with billy clubs, according to 16th Street Baptist Church bombing survivor the Reverend Carolyn McKinstry, who was 14 at the time. The marches happened between May 2nd and May 5th, 1963. The children had attempted to march to City Hall to talk to the mayor about integration, but were harassed and arrested instead. Yet a corner was turned when those very riveting images transfixed American viewers. White leaders, concerned about the reputation of their city, negotiated a plan to begin the end of segregation. Citing the events in Birmingham, on June 11, 1963, President John F. Kennedy announced his intention to introduce new federal civil rights legislation. A year later, the Civil Rights Act of 1964 outlawed major forms of discrimination including racial, ethnic, national and religious minorities and against women. Recently, hundreds of high school and college students and the original “foot soldiers,” those students brave enough to cut school and march, re-enacted a the protest through Birmingham’s streets. 50 years ago, that act of defiance would have landed them in jail, for up to five days. Interestingly, arrest records from 1963 were recently salvaged for the 50 Years Forward Commemoration. The documents are archived in the records management division at Birmingham’s City Hall. While reviewing these documents, I discovered that bond set for violations like “parading without a permit” was an outrageous $500 or more. $500 dollars then is the equivalent of $3,700 now. How can the Magic City restore its reputation, recover from those damaging images burned into the nation’s perceptions and memories to heal and move forward? This year, the Birmingham Barons were repatriated from the suburbs to a recently completed ultra-modern sports venue, Regions Field in the city whose name they bare. Slow but steady city center revitalization includes a recently added Railroad Park, and Westin Hotel, new restaurants and an expanded entertainment district. Now, the city is inviting tourists to join it in paying tribute one of the landmarks of the civil rights crusade. The City of Birmingham has purposefully pulled together commemorations, reenactments, panel discussions, seminars, photographic viewings, historic marker unveilings, musical and art tributes in an effort to bring tourists and their dollars from elsewhere to help commemorate the 50th year of the Movement. The celebration will culminate with the 50th anniversary of the 16th Street Baptist Church bombing, on September 15th 1963. A recent black newcomer to this area told me his friends back home in Jacksonville, Florida, warned him to “be careful” in Birmingham, referring to this city’s historical mistreatment of blacks. Be careful? 50 years later? Wow! How monumental of a public relations effort will it take before the rest of the nation doesn’t warn persons of color to “be careful” when visiting or moving to Birmingham? So, let me take you back to my original question. What will it take for Birmingham to reverse its negative image? Birmingham officials are fanning out across the nation to broadcast entities encouraging them to take a fresh look at The Magic City. On April 29th, 2012, Mayor William Bell appeared on CNBC’s Squawk Box. Mr. Bell attempted to distinguish Birmingham’s robust financial health from Jefferson County’s anemic one. Bell emphasized job creation in the city, and how Birmingham earned a Double-A Bond rating despite residing in bankrupt Jefferson County. Those of us who reside in the Birmingham area and write or broadcast about Birmingham for major publications and broadcast entities, want to tell positive news stories. We choose to live here and we love it. However, when we see crime, graft, malfeasance, corruption, atrocities and natural disasters, we are compelled to do our jobs. I phoned in reports for a CBS broadcast from the middle of the reenactment of the march, as it unfolded, during the first week of May. I walked down the streets of Birmingham, alongside high school and college students, foot soldiers and aging civil rights leaders, who lead the way, as they did 50 years ago, while chanting the familiar movement songs that still ring in our ears after a half century. That’s what the nation heard on CBS Radio. Celebration. Singing. Marching bands. Better government. A unified community that cares enough to send more than 1400 of its students to participate in a reenactment. If you ask me, that’s how we move forward. That’s how we begin to reinvent ourselves and polish our image—one positive step at a time. 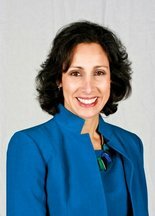 Donna Francavilla is an award-winning Birmingham-based reporter/producer for CBS News and owner of Frankly Speaking Communications, LLC. David Sher is a co-founder of Buzz12 Advertising and co-CEO of AmSher Receivables Management. He’s past Chairman of the Birmingham Regional Chamber of Commerce (BBA), Operation New Birmingham (REV Birmingham)), and the City Action Partnership (CAP).